I love the way this outfit turned out! The colors are so striking and they give it a very traditional look! 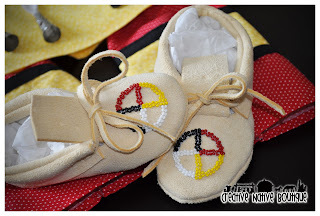 The Medicine Wheel is an important part of Plains Indian Culture. 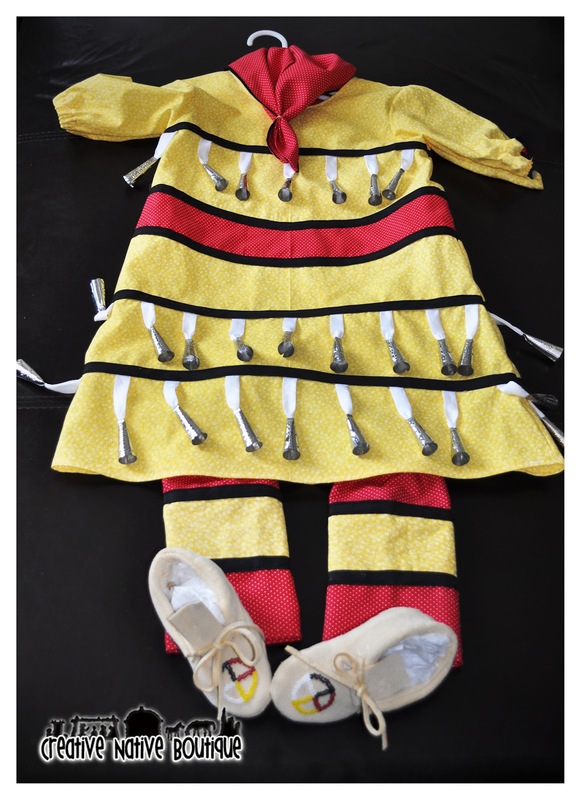 I think it accents the outfit beautifully! This outfit is a size 2T. 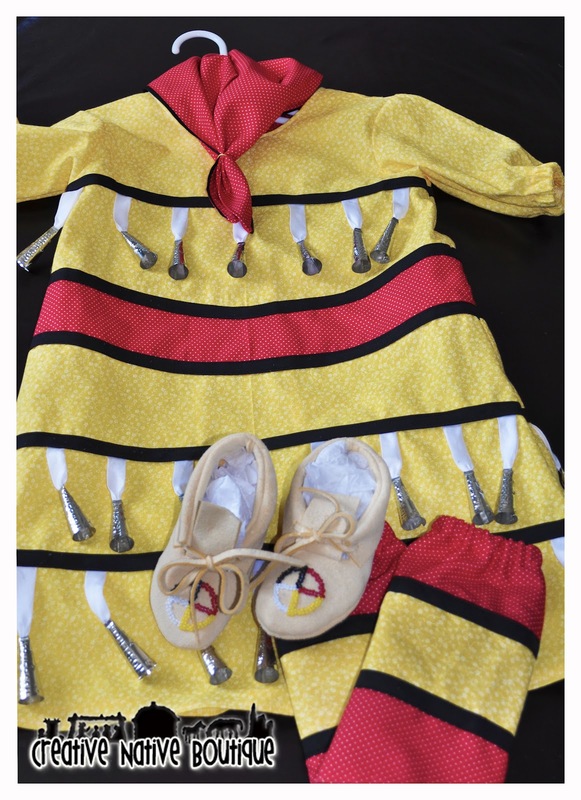 It comes with matching elastic leggings and coordinating handkerchief. 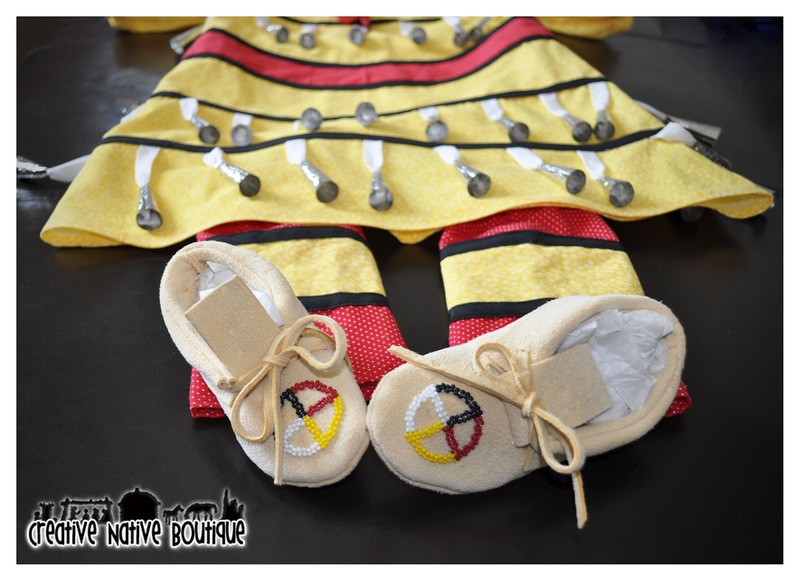 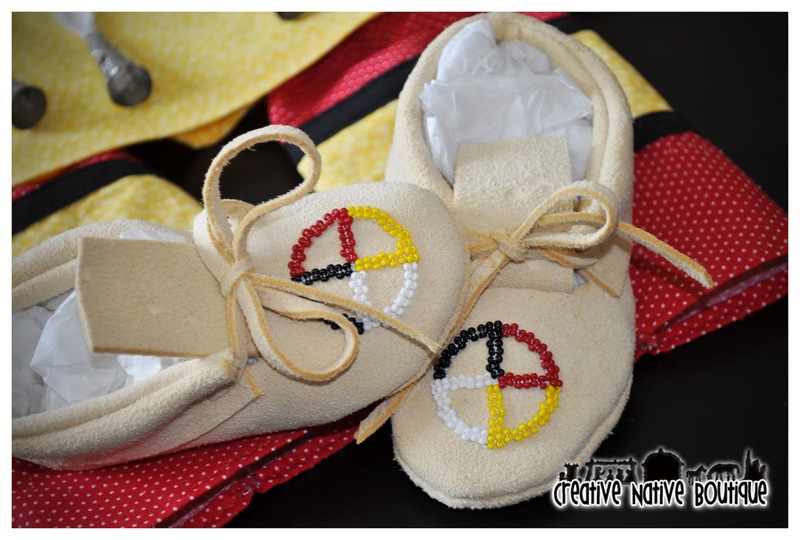 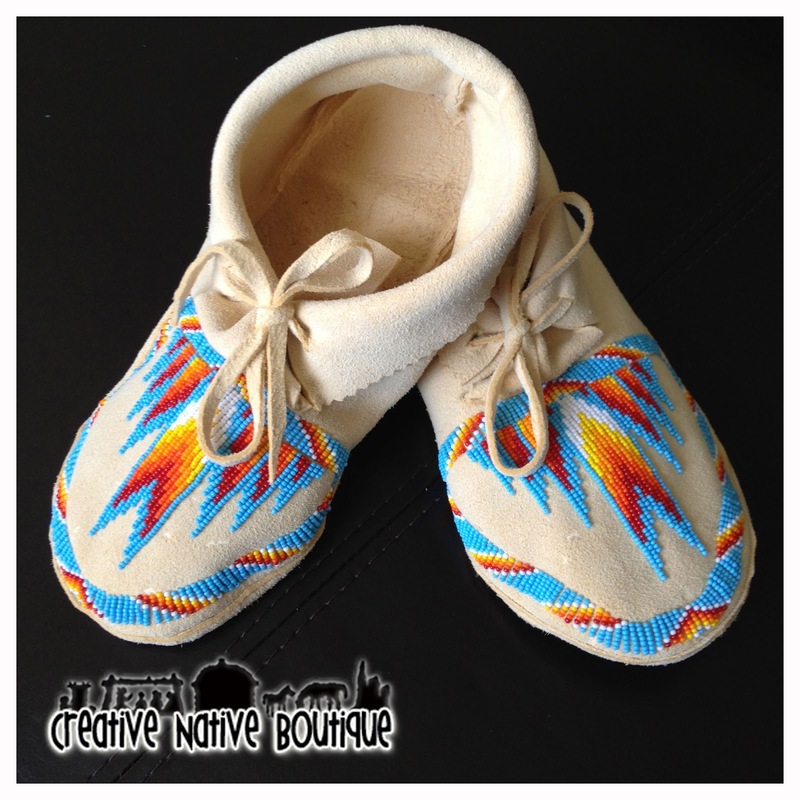 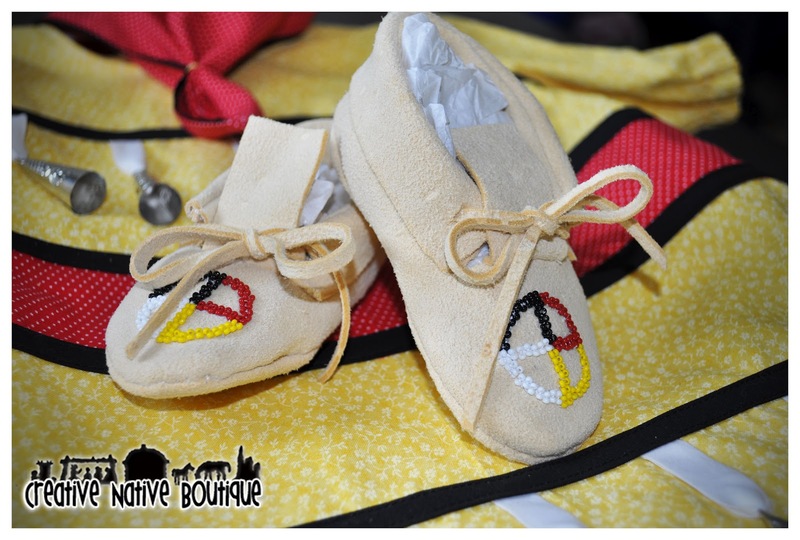 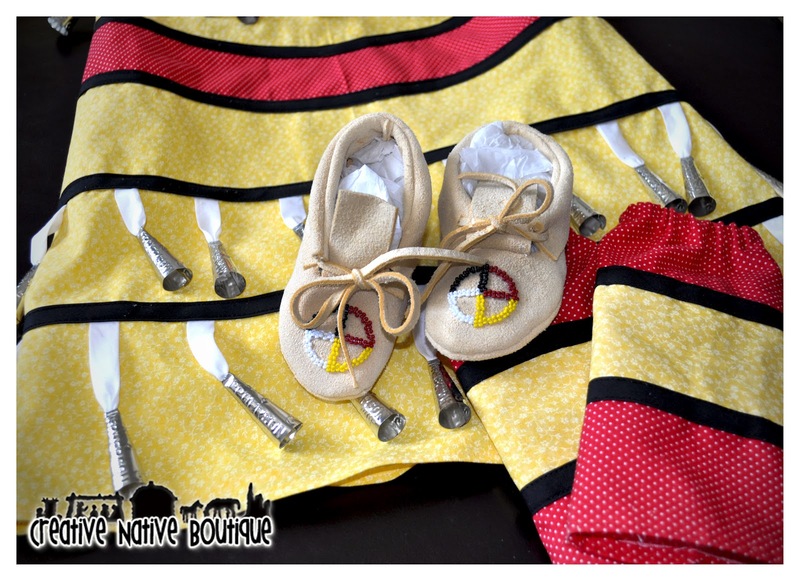 Matching moccasins can be added to your order! 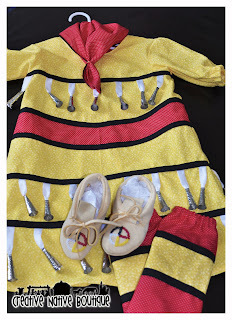 I made this set for my little girl. 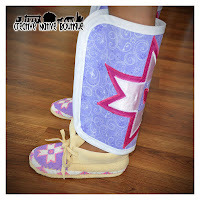 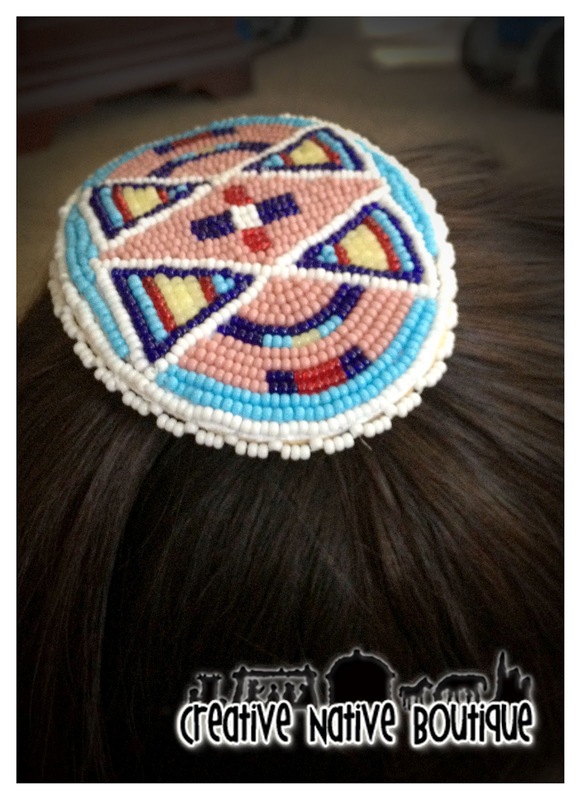 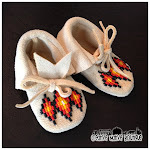 It's inspired by the beadwork of the Crow Nation;0) Fully beaded Girls moccasins size 11 and beaded braid ties to match. 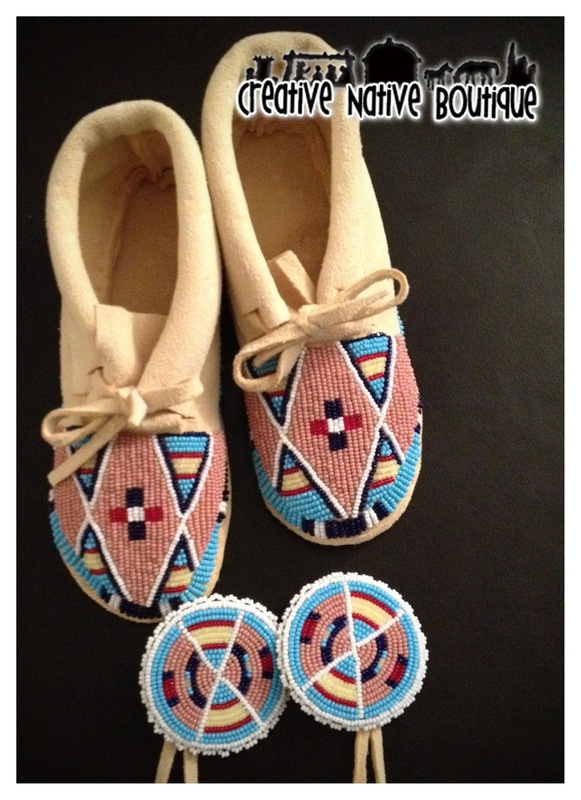 These are a pair of Women's Partially beaded moccasins size 8. Shoshone Design.